The natural growth of castle communities led to their generaI transfer to the vaIleys and to the consequent development of new settlements on more suitable flat land. 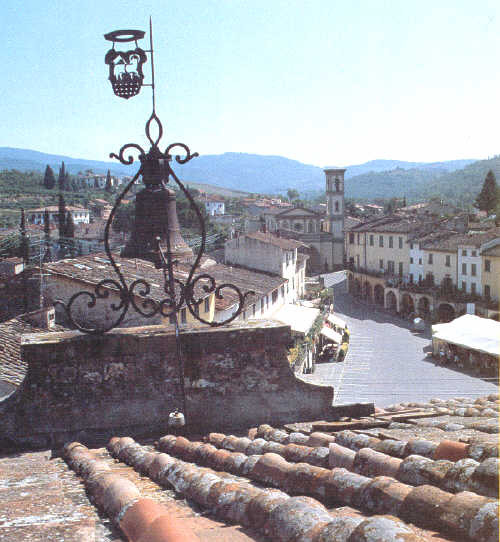 The little town of Greve in Chianti, which lies in the valley of the river after which it is named, clearly originated in this way during the XIII-XIV centuries. The 180 hectares of the farm are in the Dudda area and include suggestive wood area mainly made of chestnut-trees and oak-trees. 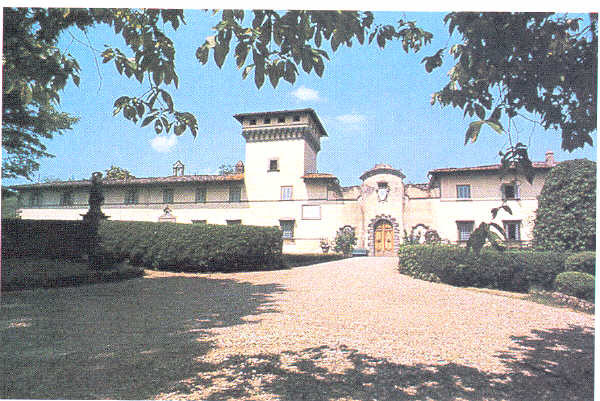 Castello di Querceto, having Longobard origins, was the residence of the Pitti family and we know that as late as in 1427 it was cited by Coppo di Bindo Canigiani. high as 350 and 400 metres, with a special exposition and on soils with a definite aptitude. Under the fire-bricks vaults of the old cellars there are oak-wood barrels and barriques, which give the wines of Castello the aristocratic elegance and velvet tonality which are their mark. 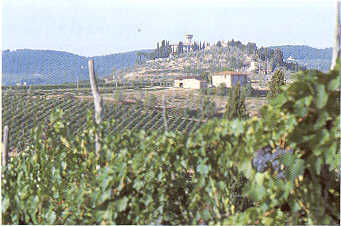 The base product of the farm, the Chianti Classico Castello di Querceto, is supplemented by the various Crus, red wines made both with traditional and innovative grapes: La Corte, Il Picchio, Il Querciolaia and Cignale. But, the range of Castello includes many more interesting wines, excellent distillates and a very fine pure olive oil. The castle of Verrazzano is placed at the top of a hill in the area between Florence and Siena, in the earth of Chianti Classico, the first wine are in the world delimited by an Official Notification (Cosimo de' Medici 1716). His position dominating the Valley of Greve, which was previously stra- tegicly and militarily important, today enables to control its own vineyards which spread like a fan from its slopes down to the edge of the wood below. The castle was an Etruscan and than Roman installation before passing to the Verrazzano. Giovanni da Verrazzano was bom there in 1485, he was the discoverer of the New York bay and the majority of the American coasts. In New York the a bridge, the longest campata is dedicated to him. The Castle which during the centuries had its ups and downs has recovered its antique spledour thanks to the patient work oi the present owner Cavaliere Luigi Cappellini. The wine tradition is very intense bere. These has been famous since 1170 (manuscript at the Badia of Passignano). The farm belongs to the Consorzio del gallo Nero Since 1924, year of its foundation, efforts at the Castle have been aimed at high quality products. In the spirit of continuing tradition, production includes Chianti Classico D.O.C.G. wines, designer tables wines, vinsanto, grappa, olive oil, aspretto and the characteristic "millefiori" honey with its distinct lavender scent. 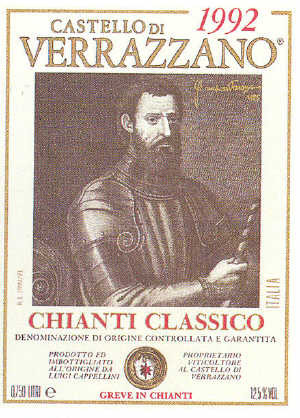 Among recent products, one well-worth secalling is a 1985 Chianti Classico reserve called "Cinquecentenario". The origjns of castello Vicchiomaggio can be traced to the year 957 AD, when it was built by the Longobards. 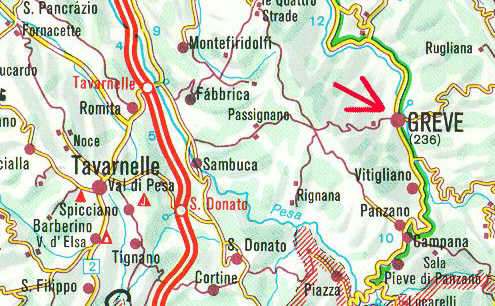 Its name in that period was Vicchio dei Longobardi. Strategically placed on the crest of a hill, it was the first bastion of defence for Florence, when at war with Siena in the Middle Ages and it is part of florentine history. The castle took on its present form and name during the Renaissance, when it was used for spring festivities mainly in the month of may (May=Maggio, thus Vicchio- maggio). The castle is otficially recognized as a "Monumento Nazionale", an italian national monument, due to its great histo- rical interest. Its garden offers unrivalled views ot the Chianti Hills and Greve Valley. Visitors will find the castle perfectly renovated. 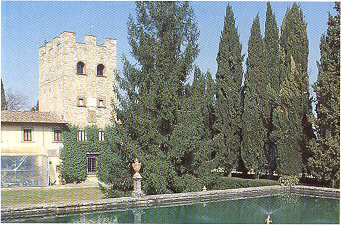 The castle is secluded yet only 20 km tram Florence and just 38 from Siena, it can be easily reached from any direction. World renowned wine is produced here in very limitated quantities. Visitors can explore the corridors under the castle and admire the magnificent barrels and hundreds bottles peacefully ageing. 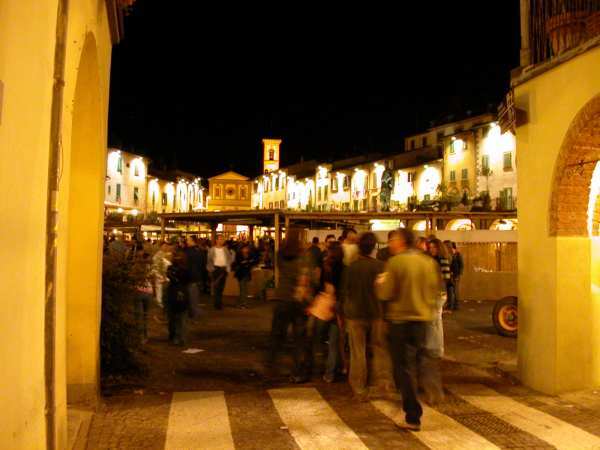 Wine and olive oil can be purchased at special prices in the estate shop "Cantinetta San Jacopo". 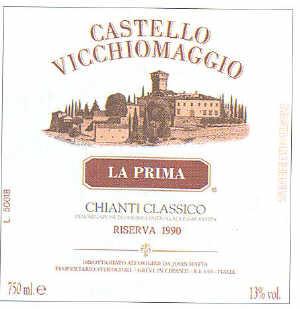 Wines produced are "Chianti Classico" and "Tuscan table wine". In the imposing renaissance ball-rooms of the castle can be served fuI l meals based on traditional recipes. The restaurant of the castle offers the chance to taste originaI dishes in an idyllic setting. A natural park on a mountain 892 meters above sea level. From Barberino go to Tavarnelle Val di Pesa and Follow the signalization to Sambuca Val di Pesa, from Sambuca Val di Pesa follow the signalizations to Badia a Passignano then continue following the signalization to Greve in Chianti.